Freelance web designers tend to seem tempting. The major reason for this is the less cost they provide their services at. The client hires talent avoiding the CEO or the project manager of a web designing company. As clients are the reason freelancers survive, they work harder to achieve the results and the clients can contact them when they want to. Although these benefits seem sufficient there are costs of hiring freelancers that cannot be ignored and they should be avoided. These should be thoroughly considered before choosing between a freelancer and a web designing company. All freelancers may not be highly skilled. They can be amateurs and clients can bear great costs handing the precious projects to them. When hiring a freelancer there is no definite way of checking for the skills they have. Web designing companies, on the other hand, hire a team of professional experts. They make sure that each area is handled by a specialist and that the quality of the product is not sacrificed under any circumstances. Freelancers do the job for the clients at cheaper rates and this generally makes them more desirable. However, the human nature of working for benefit should not be ignored. A lower price also means lower motivation levels of the freelancers which may affect product quality. On the contrary, web designing companies pay their technicians well. This ensures that the team is motivated to work and will deliver desired quality. Generally contracts with freelancers are signed verbally. No formal agreement exists. The freelancer, therefore, can disappear during a project and the client will be left with nothing. Freelancer may even delay the updating of the website due to unforeseen factors. This causes great certainty during the creation of the project and creates a gloomy outlook for the client towards the project. Freelancers work alone and take a lot of time. The ideas they use come from a single brain and may be limited in application. As opposed to them, web designing companies have a panel of experts working on the project. As there is division of labor and competition amongst the technicians; the best ideas are chosen and implemented upon. This can increase the application of the product. Thus higher product quality and quick completion are ensured. Freelancers may also be irresponsible and may not complete the project on time. This can cost a lot to the client. However, the Web designing companies always ensure that the product is delivered on time. Freelancers may not have access to sufficient resources and that will affect product quality. 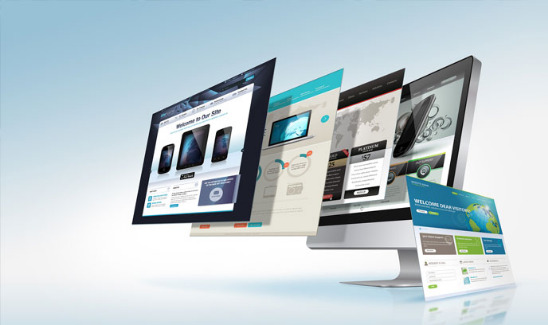 The provision of authentic virus protection, power backup, data backup and numerous operating systems are essential for developing a good website. These are only available with web designing companies. Lack of a formal agreement signed with the freelancers also provides uncertainty about the original identity of the freelancer. In some cases, freelancers require some percentage of the payment to be made before the product is delivered. The freelancer may disappear with the client’s money and details of the project. This costs the client more than the project itself so avoiding freelancers may seem profitable.